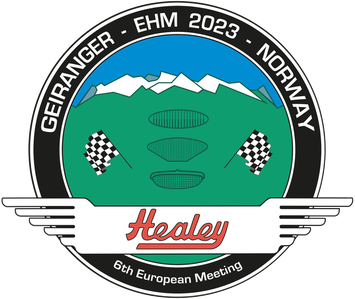 Get ready for the next European Healey meeting! Geiranger is our destination and is encircled by beautiful Norwegian fjords and known for its interesting car history that you will learn about during your stay. We want you to enjoy the spectacular surroundings, the bright summer nights and the snowy mountain tops. Despite summer season you will most likely be driving through snow banks. We promise you a fun filled week with exciting adventures, driving routes, and fine wining and dining. More information will be announced soon! Want to know more? Register your interest below and you'll receive newsletters on what's going on. Bookings will be open in 2020.